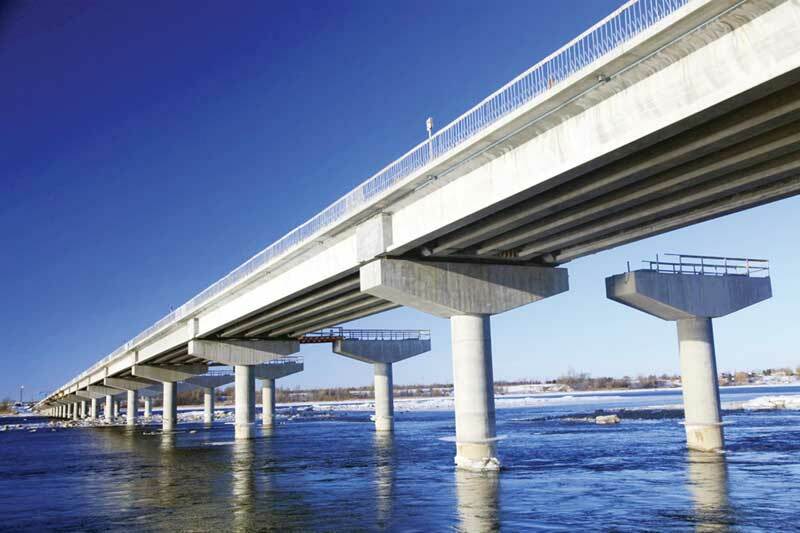 Concrete is used in construction projects all over the world, from roads and bridges to structural buildings. While itself a strong building material, concrete is often reinforced to increase that strength. There are various options available for this application, with the most popular being reinforcing steel bars, or rebar. As steel tends to corrode over its life cycle, it is important to understand the factors affecting rebar performance in concrete and the methods available to protect steel from corrosion, elongating its useful life. The long lifespan of steel provides many benefits, including safety from crumbling and spalling concrete, extended durability of concrete projects and structures, and lower life cycle costs through reduced maintenance. The main factors affecting reinforcing steel performance include the chemical composition of the concrete, chloride concentration, bond strength between the rebar and the concrete, environmental factors, and—most importantly—type of bar used. There are a variety of reinforcing steel options, with the most commonly used being galvanized, epoxy-coated, or stainless steel. While each type has its benefits, it is important to weigh which is better suited to the specific job. In addition to the numerous advantages each type of rebar may provide, it is also essential to understand the factors affecting their performance in concrete. As concrete is an alkaline solution, pH levels play an important role in depassivation, or breakdown of the metal reinforcing bar and the corrosion-protection coating. While black (i.e. uncoated) steel in concrete typically depassivates above a pH of 11.5, galvanized reinforcement can remain passivated up to a higher pH—usually around 12.5—thereby offering substantial protection against the effects of concrete carbonation. (Further reading can be done via Stephen R. Yeomans’ “Galvanized Steel in Concrete: An Overview,” published in Yeomans’ Galvanized Steel Reinforcement in Concrete.) To this author’s knowledge, the effect of pH level on stainless and epoxy-coated steel has not been extensively studied. Typically, denser, less-porous concrete and adequate concrete thickness or more concrete cover create stronger corrosion protection for the rebar. The type of concrete used plays a role in the performance of the reinforcing steel and contributes to the chloride concentration within the mixture. For the A30 Express Highway outside of Montreal, more than 25,000 t (27,558 ton) of galvanized steel were used. 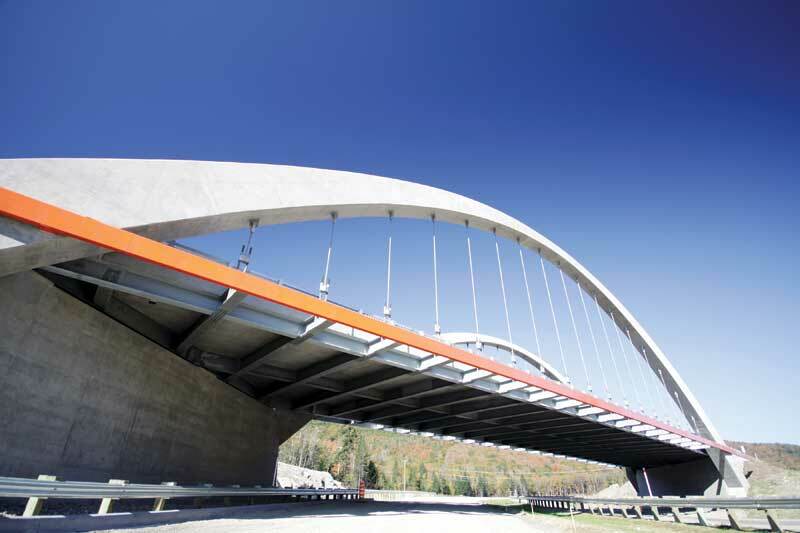 The structures comprising the A30 Express Highway outside Montréal include a mixture of steel and traditional precast concrete construction. In total, more than 25,000 t (27,558 ton) of galvanized steel were used in the project over a four-year construction span. For this extremely intensive highway project, galvanizing was employed for everything from the steel structures, expansion joints, guard rails, bridge rails, lighting poles, signage structures, and sound barriers to the thousands of tonnes of reinforcing steel. By allowing travellers to bypass heavy traffic congestion, it is anticipated this highway will reduce greenhouse gas (GHG) emissions in the Greater Montréal Area.